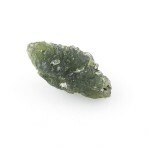 Home » Blog » Theory » Can you recognize moldavites found on surface from those dug up from the deep? Can you recognize moldavites found on surface from those dug up from the deep? Moldavites that were found on the ground (for example in a field), are apparently different from those dug up from below surface. Try to recognize them and read why their appearance differs. Look at the following four moldavites and try to guess, which ones are from surface and which ones are from below the surface. Moldavites from below the surface and those found on the ground differ in the preservation of sculpture (texture of the surface of moldavites). 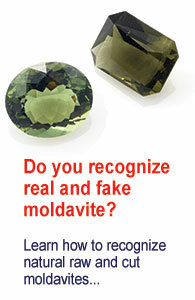 Surface moldavites are exposed to surrounding conditions, like climate impact and human activity. 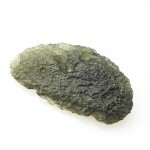 Moldavites found on the ground or close to surface are in motion. 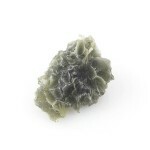 It may sound a bit strange, but surface moldavites really move and thereby grind on surrounding ground and stones and they sharpen. Off course they don’t move by themselves, but thanks to rain, which floats them and thanks to general motion of the upper layers of the ground. Wind is also an influence. 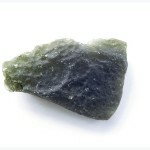 It carries fine dust elements, which sharpen moldavites that are on the ground. Agriculture is also a significant influence. 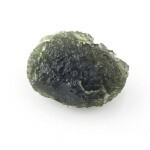 During tillage the upper layer of the ground is being moved, moldavites are often damaged in contact with metal parts of agricultural machinery. 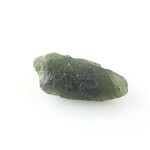 But agriculture also has its benefits, moldavites get on the surface and are easier to find. 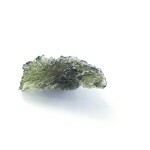 Moldavites deep below surface aren’t influenced by these effects. 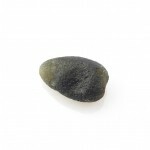 The motion of the subsoil is very slow and it doesn’t damage moldavites. Their sculpture remains preserved. Hi , I think those that are “smooth ” have abrasions from rain and wind, also they are found on surface. I quietly sure this applies to A, F and G. E and H are from the ground. The others is more difficult to say :). I seeing forward to the right answer. Cordially, Evelyn from Veracruz, Mexico.